I love climbing into a well-made bed at the end of a long day. 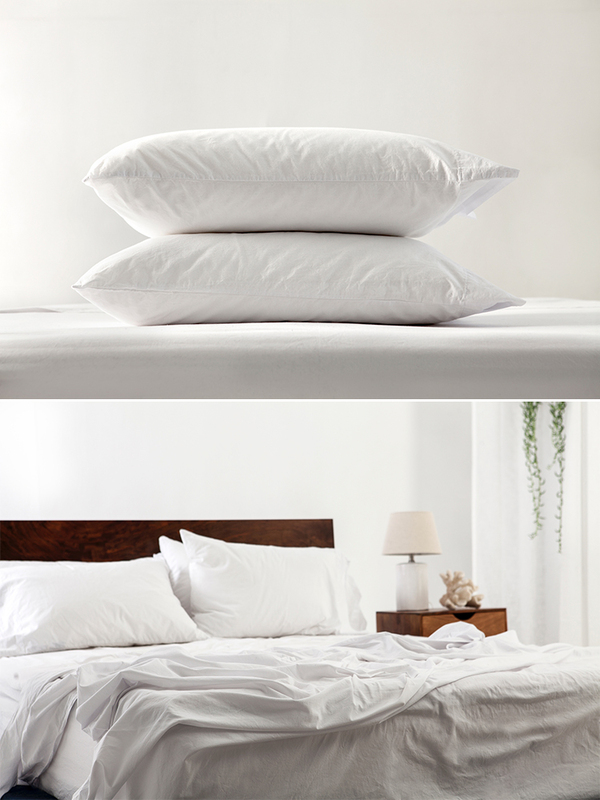 For me, nothing makes for a restful night’s sleep like smooth, crisp, cool sheets. Here’s the thing though: spending $$ on imported bedding is just not my style. That’s why we’re super excited to share Authenticity 50 with you guys. Their gorgeous sheets are 100% ‘seed-to-stitch’ made in the USA, meaning the entire manufacturing process — from growing the cotton, to spinning the yarn, to weaving the fabric — is done here. Plus, they’re made from high-grade cotton, meaning the longer you use them, the softer they get. Keep on reading to learn more + enter to win a sheet set for yourself! I’ve gone through so many phases of pattern and colorful bedding, but I always end up reverting to a tried-n-true classic: white cotton sheets. 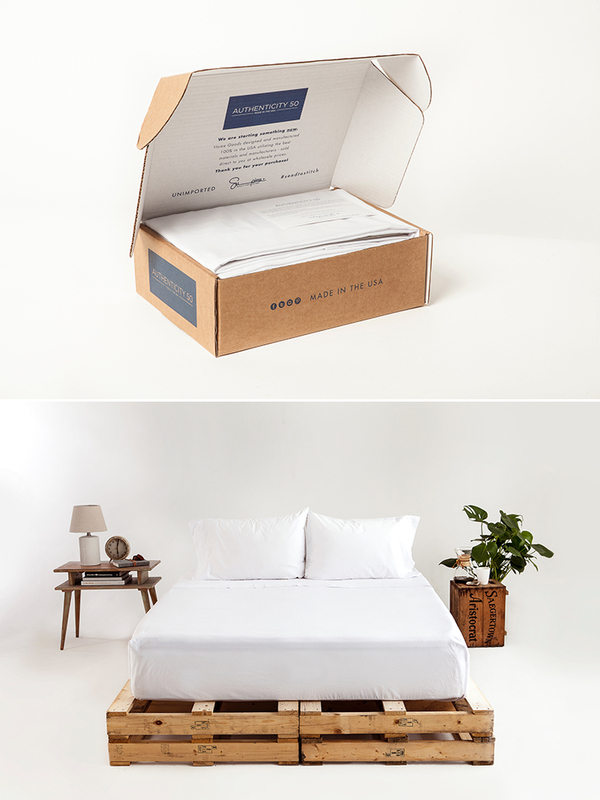 In the case of Authenticity 50, their white sheets are made of Supima cotton from a farm that’s been family-owned and -operated for more than 50 years in the San Joaquin Valley of California. The sheets feature a percale weave, meaning that the sheets are highly breathable for that ‘cool’ sleep on warm nights and a ‘warm’ sleep on cool nights. It also ups their durability and makes them even easier to care for. Giveaway time… Enter below for nine chances to win! One winner will be chosen at random by Tuesday, May 3, 2016 at 10 am PST. 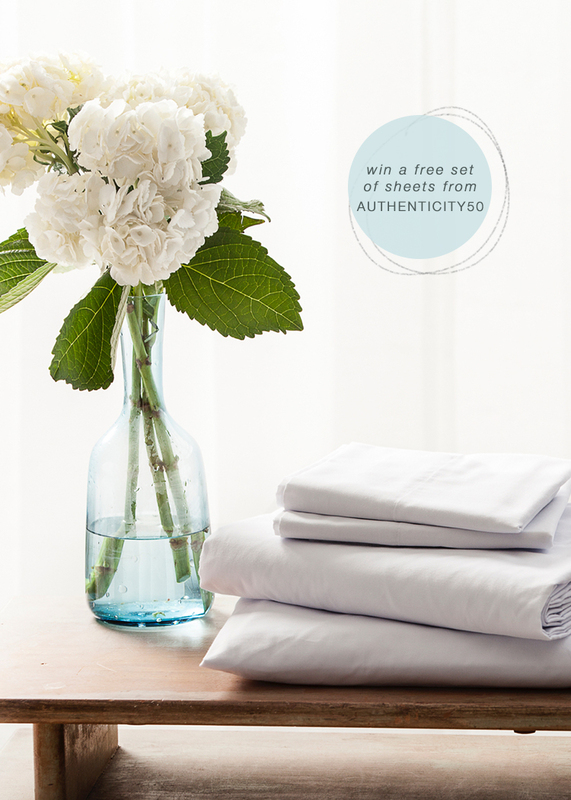 Winner will receive a set of bed sheets in any size from Authenticity 50. Good luck! For this post I received products to review from Authenticity 50. All opinions are my own and always will be! Thanks for supporting content that keeps Jojotastic going.